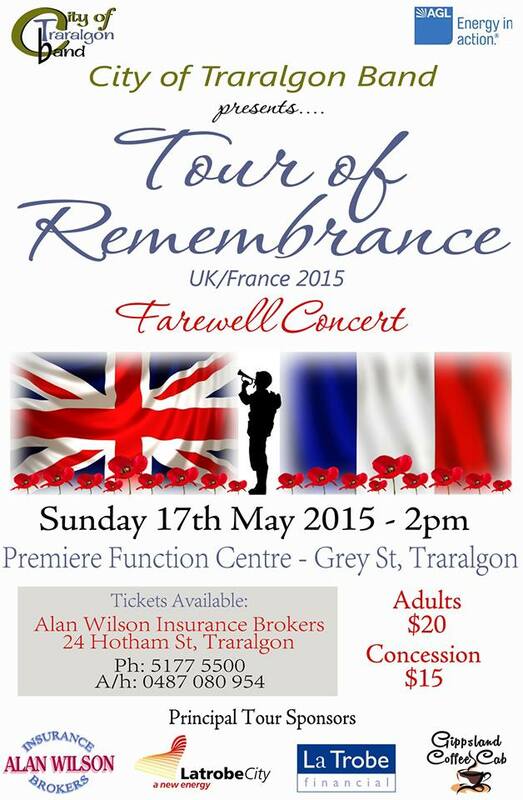 This coming Sunday, the City of Traralgon Band will perform for the final time in its hometown before embarking on their historic Tour of Remembrance. The concert will feature Australian, English and French works. The band will depart for London on the following Sunday, 24th May. Tickets for this concert are now sold out. We hope to see you there!